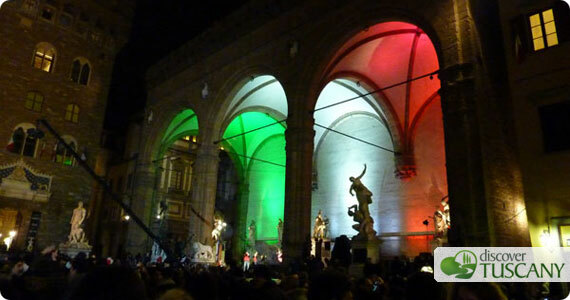 We’d like to share some of our pictures of Florence all lit up for the celebration of Italy’s 150 years of unification! 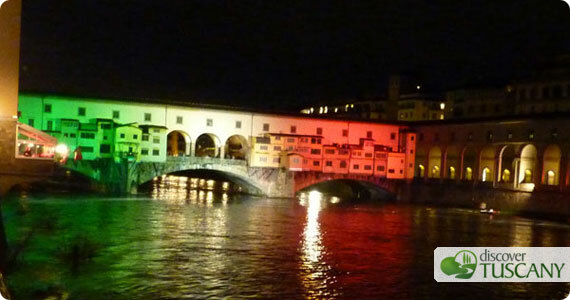 Here you can see Ponte Vecchio all lit up in green, white and red! You can see more pictures on Facebook! Here is a view of Piazza della Repubblica, full of people – we were fortunate and the rain had stopped and lots of people were about. Here is the Loggia dei Lanzi in Piazza della Signoria, really beautiful to see the loggia and statues with the play of colors on it. 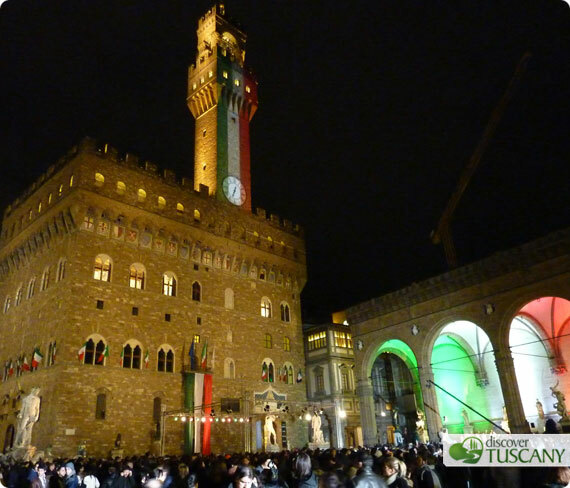 The always impressive Palazzo Vecchio was even more so on this night. The tower had the Italian flag down its side, there were flags everywhere, lots of people in the square and music to accompany the festive air. 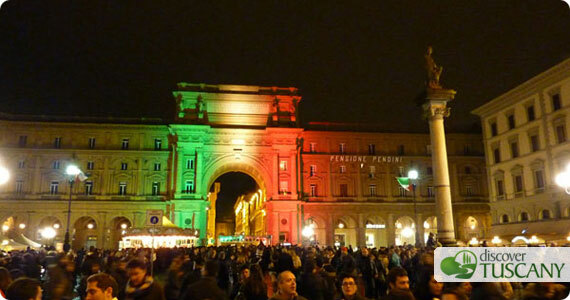 Happy 150 years, Italy!